Congratulations, DMV: We have the most expensive work commutes in the nation. When you think about long and pricey commutes, you probably think of New York City or Los Angeles. You’re not wrong. These cities do have long commutes, but workers in the Washington, D.C., area have actually taken the top spot. 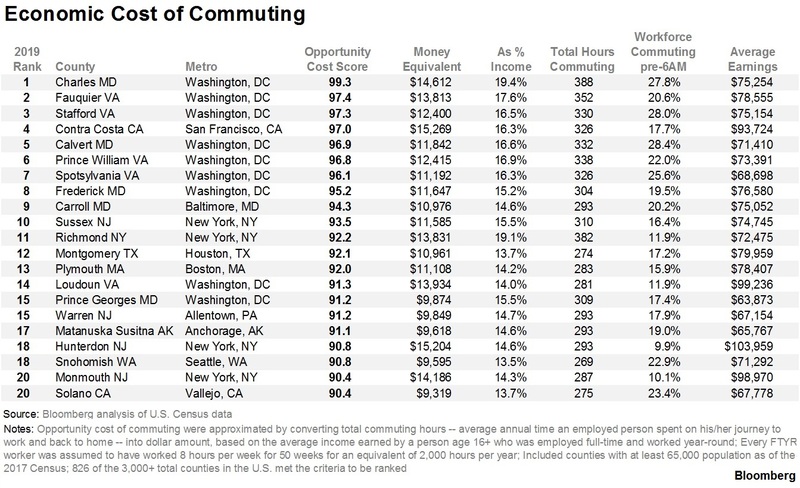 A study of U.S. census data by Bloomberg showed that workers from cities in Maryland and Virginia have the most expensive commutes in the nation. The cost was calculated by figuring time spent in the car divided by the average income. It also factored in an “opportunity cost,” the time and experiences lost out on because of that commute. Workers that commute early in the morning or late into the evening spend less time with family and friends and miss out on activities like going to the gym or attending special events. The worst of the worst, coming in at No. 1, is the commute from Charles County, Maryland, to Washington, D.C. These workers spent an average of two and a half weeks of 2017 just driving to and from work. Commuters driving into D.C. from Fauquier and Stafford counties in Virginia came in as having the No. 2 and No. 3 worst commutes, respectively. In fact, out of the top 20 most expensive commutes, DMV counties took up 10 spots: Calvert County, MD (No. 5), Prince William County, VA (No. 6), Spotsylvania County, Virginia (No. 7), Frederick County, MD (No. 8), Carroll County, MD (No. 9), Loudoun County, VA (No. 14), and Prince George's County, MD (No. 15). 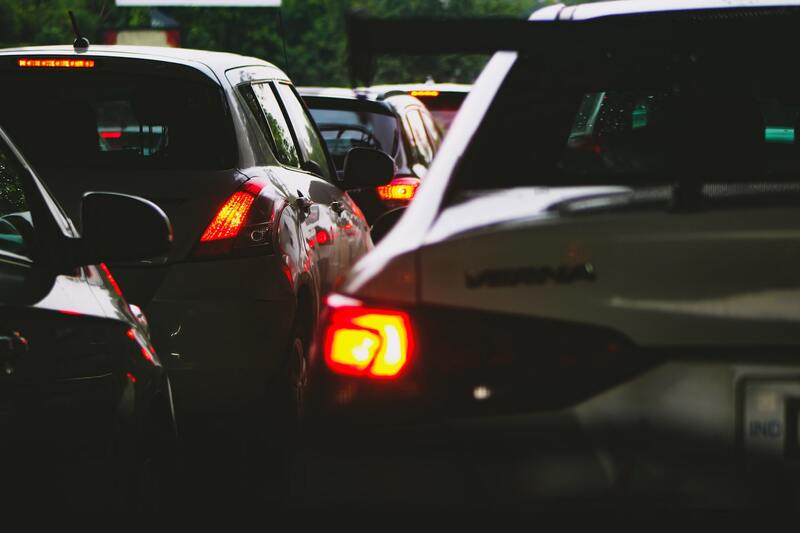 Commuters in the region have a laundry list of complaints that include congested roads, traffic accidents, toll road fees, parking, bus and Metro fees. Suburbanites from parts of Northern Virginia that travel on the I-66 toll road can face charges of up to $46 a trip during heavy peak travel times. 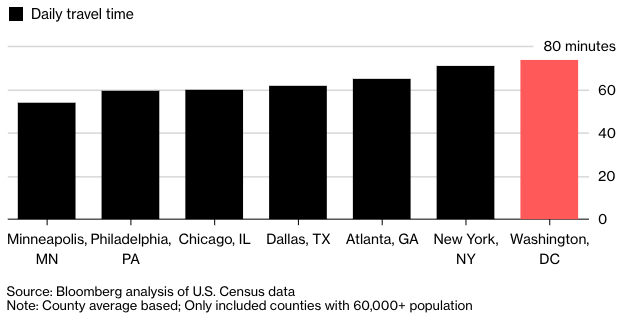 The cost of housing decreases the farther you get from Washington, D.C., leaving employees to favor a long commute over high housing costs. 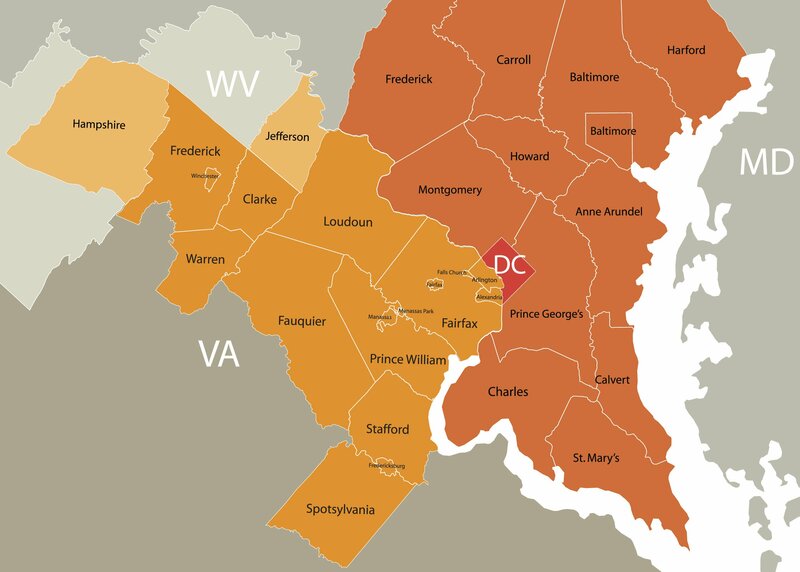 The DMV area also has a large concentration of government workers. To help curb traffic, some government workers are allowed to work from home up to two days a week or work flex hours. Do you have a long commute? How do you keep yourself sane during the trip? Tell us all about it in the comments below! Silver lining: Catch up on your reading during your long commute with these audiobook recommendations!